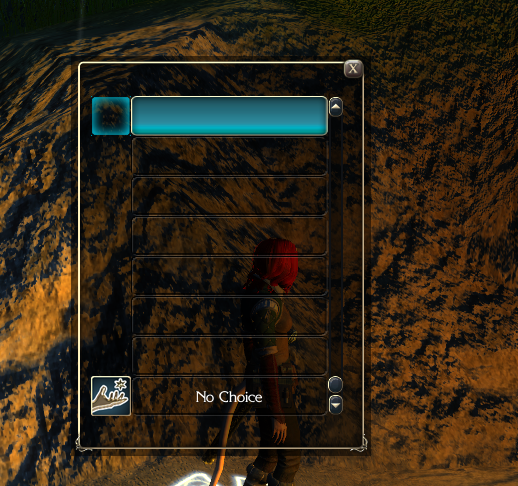 Teleport saving on character + custom text fields. So I will start with the more general issue. For...around a year or so now I have had the occassional problem with the text fields used for custom spell effects. Namely, that after confirming with the "done" (or some such) button on the text field the game still acts as if the text field is still open. For example with Windwhisper this causes again and again self repeating message every time I hit enter to access regular chat box, with the feat "Remove spell from spellbook" this on enter again triggers the script sometimes with added nonsense as I was trying to type for example. In case of saving place for teleport...this creates multiple instances of the place which I can't get rid of. Can someone please look at the custom text fields for spells and feats and...maybe a delete button for the already saved places on character? Thank you. Re: Teleport saving on character + custom text fields. There's a custom feat due next update that will allow you to manage your saved locations so you should be able to clean up those empty spots. Regarding the GUI use your mouse rather than enter key, it's somehow more reliable (don't ask me why). Yeah I read the update notes but never got the feat, if it gets in next update, great, thank you As for the GUI text field I do use mouse every time, but still I get stuck in the "text field mode" after the window disappers, usually for a minute or some such time frame.